There are some who would say that the pinnacle of human expression can be found in France, and it would be hard to argue the point. 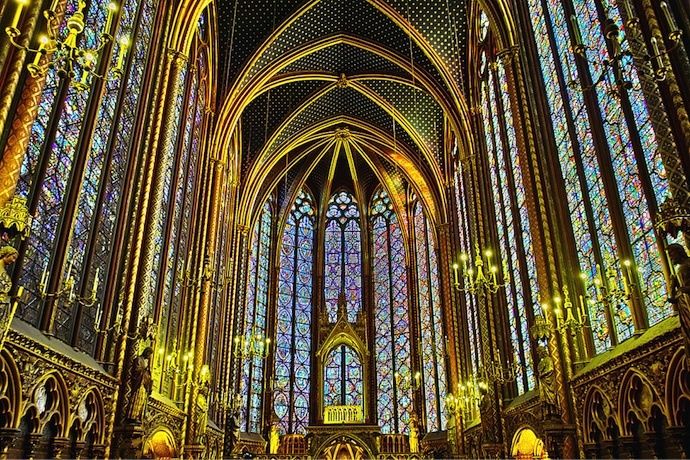 In almost any creative endeavor, from art to fashion to gastronomy to architecture to wine, France is always at the forefront. France is also perhaps the country with the most positive cultural influence upon the rest of the world, and possesses a remarkably urbane and tolerant society that has led the way since the Age of Enlightenment. There is no wonder that the magazine International Living has proclaimed that France is the “best country to live in” for five straight years. Evidently, tourists tend to agree and believe that France is also the best country for travel. France is the most-visited country in the world, attracting some 83 million guests a year, 17 million more than the United States, with only one-fifth of the population. For those who are contemplating a visit, on the one hand, those statistics are very encouraging. They mean that obviously, France has a lot to offer, and that part is true. 83 million people can’t all be wrong. But on the other hand, the overwhelming magnitude of those tourism numbers should give a pensive potential passenger pause. Large crowds can mean… large crowds. Depending on when and where you want to go, you could be faced with unexpected delays and inordinately long queues. If you are on a short vacation, delays and lines can dampen your enjoyment and enthusiasm, and if you’re traveling with children, those hindrances can be downright disastrous. 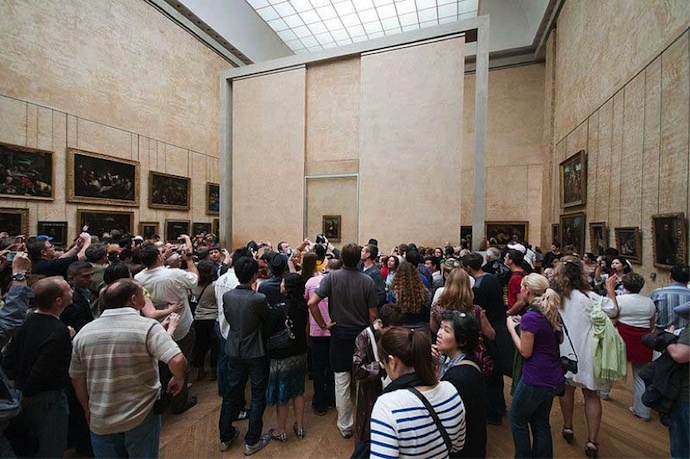 Now this doesn’t mean that you shouldn’t try to experience the most famous and iconic spots. But what it does mean is that sometimes, it’s good to take the road less traveled. With a little legwork and a spirit of adventure, you may just stumble into a few wonderful discoveries sure to forge new and wonderful memories. Let’s take a look at some of the most popular destinations in France, with some of the more interesting, but less well-known points of interest that might be worthy of your time. Any discussion about visiting France has to start with The City of Lights. Every year, approximately 44 million people visit Paris and the surrounding region. In one city, Paris contains some of the most iconic sites of interest in the world, including the Eiffel Tower, the Arc de Triomphe, the Louvre, Notre Dame Cathedral, and perhaps the world’s most famous street, the Champs-Élysées, named after the blessed afterlife in Greek mythology. So much has been written about all there is to see and do in Paris that it is hard to find true “hidden” or “secret” places. What you can do however, is widen your area of focus a bit beyond the obligatory attractions. 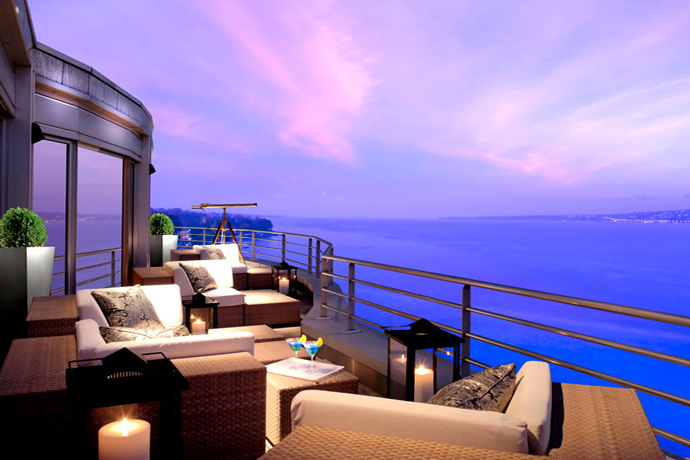 You will find some unexpected treasures in nearby places, and you will enhance your overall travel experience. Whether it is your first visit to Paris or the twentieth, a trip to the Eiffel Tower never gets old. But if you decide to wander around a little bit, rather than simply waiting in line to ride the lift, you will find Lady Liberty lifting her torch in some very surprising locations. In fact, there is more than one replica Liberty statue in Paris, and several around the country. With a little creative positioning, you will be able to take a picture that captures both of these landmarks. This shouldn’t be a surprise, considering the statue in New York was a gift from France to the people of the United States. One of the authentic bronze models used by the original designer, Bartholdi, is in the Jardin du Luxembourg, and another replica of one-fourth size is on the Île aux Cygnes. 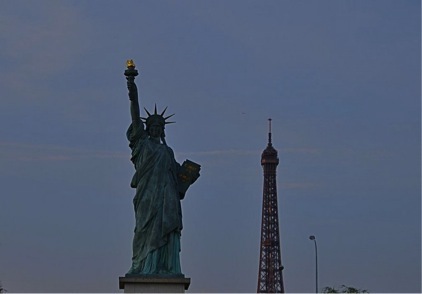 Fun fact: One hundred years after the original gift from France to America, a return gift was given – a full-size recreation of the “Flame of Liberty”, the torch that the statue holds. The torch is kept above the Pont de l’Alma. Tragically, this is the car tunnel where Princess Diana died in a car crash. Since then, many regard the torch as a memorial. If you decide to skip the lines to ride the elevator to the top of the Eiffel Tower and instead take the stairs up to the allowable lower limit, you may find yourself, happily, with some extra time on your hands. This is an excellent way to check out other nearby points of interest. One of the most quirky, yet utterly fascinating, attractions near the Eiffel Tower is the Musée du Vin, which celebrates the rich and diverse history and culture of winemaking in France. Visitors will be able to see ancient winemaking tools and equipment, some as old as 2000 years. The physical structure of the Wine Museum, as it translates into English, is itself part of the charm. 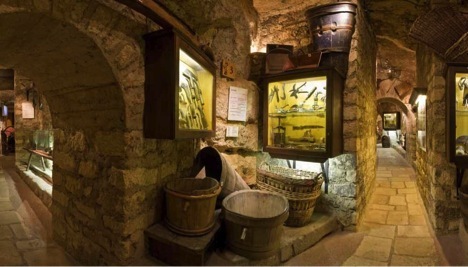 The museum is contained within three limestone quarry cellars that were formally used by a brotherhood of Friars in the 16th and 17th centuries as their wine storage area. The combination of the roughhewn walls, the archaic tools, and the exhibits themselves make it feel like visitors are stepping back 500 years into the past. At the end of the tour, guests can enjoy a wine tasting or stop for lunch in the museum’s restaurant. Fun fact: While American wines are labeled based upon the grape that was used, the label on French wines designates the town or region of origin, imparting particular importance upon the soil. It comes as a surprise to some people that the most visited site in all of Paris is Notre Dame Cathedral, which attracts over 13 million visitors every year. The reliquary here contains a fragment of the True Cross, a Holy Nail, and the Crown of Thorns, some of the most revered relics in Catholicism. Fun fact: Louis IX is the only French came to be canonized, and so is today commonly referred to as Saint Louis. Around the world, there are many cities named in his honor –including an island and a city named Saint-Louis in France; St. Louis, Missouri and Mission San Luis Rey de Francia, California; San Luis Potosí, Mexico; and São Luís, Brazil. 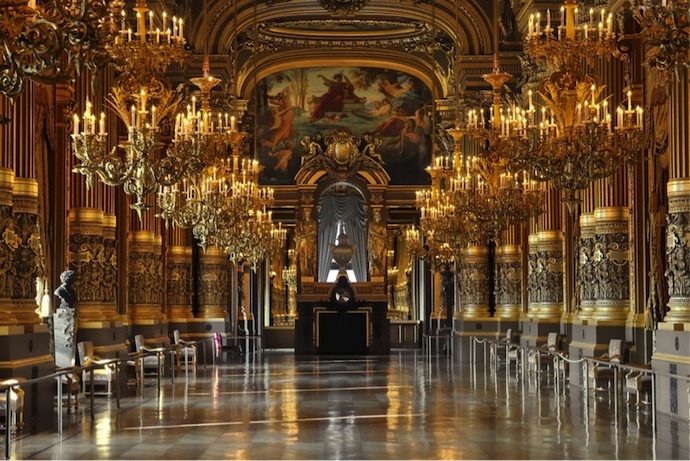 Also known as the Palais Garnier, this building took 14 years to build and seats almost 2000 patrons, and for over 100 years, was home to the official Paris Opera and the Paris Opera Ballet. At the time of its construction, this was the most expensive French building of the era, with an unmatched standard of over-the-top opulence. For example, the auditorium boasts a massive bronze and crystal chandelier that weighs seven tons and cost an estimated 30,000 gold francs to design and construct. Fun Fact: The Paris Opera House is the setting for the popular novel and musical, The Phantom of the Opera. In fact, one of the scenes was inspired by a real-life event, when a counterweight from the massive chandelier fell and killed a patron. Of course, France is much more than Paris. 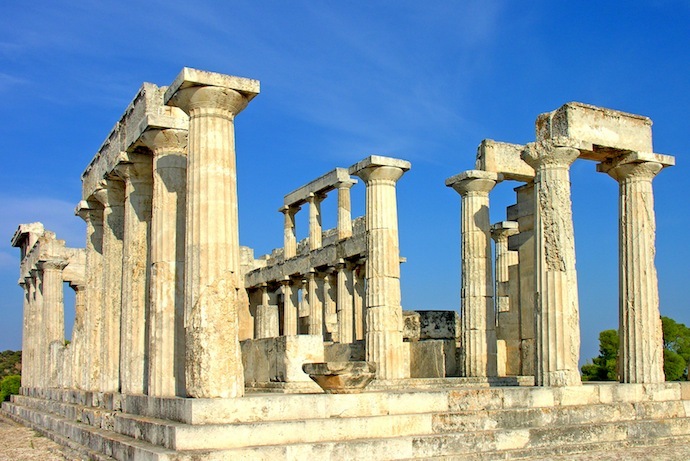 Traveling around the country, there are almost innumerable fascinating places steeped in history and culture that are sure to pique any interest. With so much to offer, first-time visitors can feel overwhelmed by a perceptible pressure to try to see everything all at once. Relax. That’s impossible. In fact, if you try to fit everything in, you will end up missing out on the full experience of what is right in front of you. Take the time to savor the wonderful attractions and points of interest that are seemingly everywhere, no matter where you are in France. Located in Colleville-sur-Mer, Normandy, the cemetery overlooks Omaha Beach and the English Channel. Omaha Beach was one of the sites of the Normandy Invasion of World War II. 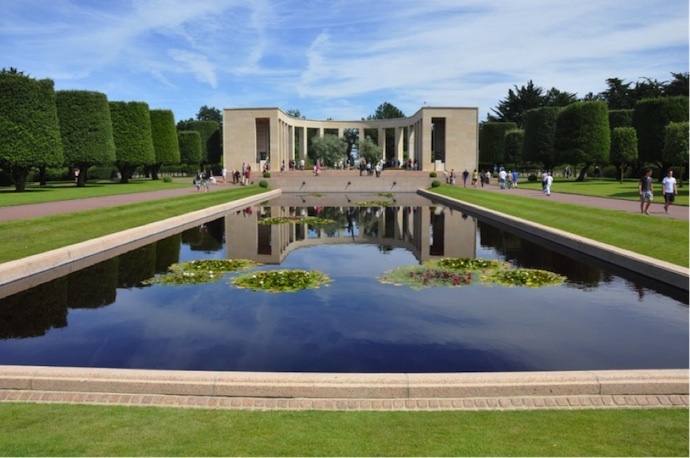 The invasion took place on June 6, 1944, across multiple beach fronts, and two days later, on June 8, the first American cemetery of World War II on European soil was established. The land, which is maintained with funding from the American government, is a permanent tax-free gift from France to honor the American troops who died in Europe. There are 9,387 burials here, 307 of which have not been identified. This is a must-see for any visitor remotely in the area. For history enthusiasts or anyone who had family members who served, this Memorial and the nearby beachfront where the fighting took place serve as a poignant and somber reminder of the world’s past. Fun fact: although the characters in the movie Saving Private Ryan are fictional, the story was inspired by that of the Niland brothers of Tonawanda, New York. Two of the brothers are buried here. Many people traveling with children to France make the obligatory stop at Disneyland Paris. Unfortunately, Disneyland can be maligned for excessive lines, because the park can attract over 16 million visitors a year. When time is at a premium, it’s fortunate that there are other options. Fun fact: Portiers has much to offer adults, as well, such as the Baptistère Saint-Jean, the oldest existent Christian church in France, originally constructed in 360 A.D. Millions of tourists travel to the South of France each year to enjoy the beautiful Mediterranean. When the beaches are too crowded, there are many other breathtakingly beautiful natural wonders in the Languedoc-Roussillon region. 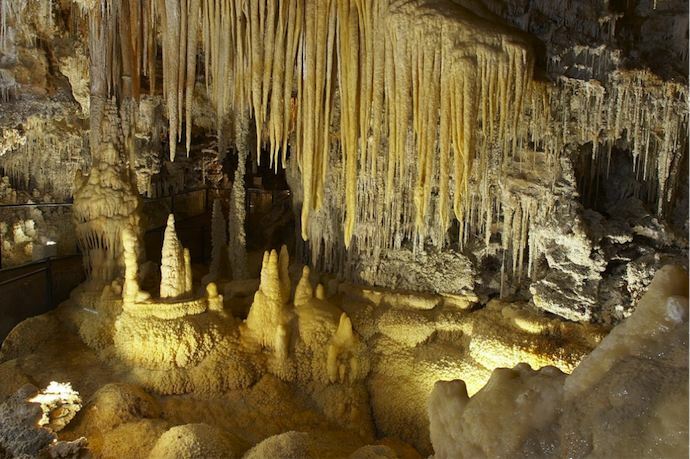 The Grotte de la Clamouse, a million-year-old cave resplendent with magnificent stalactite and stalagmite limestone formations, is located on the edge of the Hérault Gorge, near Saint-Guilhem-le-Désert. During the winter and spring, visitors can see the river that formed the cave. Fun fact: Saint-Guilhem-le-Désert is officially classified as one of the “Plus Beaux Villages de France”,“Most Beautiful Villages of France”. 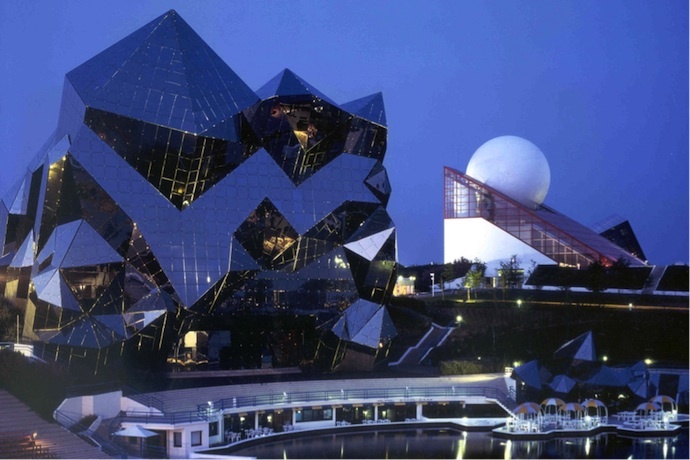 For those visitors who like their French vacation with a little bit more German flavor, there is Strasbourg, regions the capital of the Alsace region. The city is near the German border, and in fact citizens of the historically speak German, rather than French. The architecture of Strasbourg is very eclectic, representing the entire scope of Franco-German influence. Throughout the city, there are examples of the German Renaissance, French Baroque, Classicism, and Art Deco styles of buildings. The city skyline is dominated by the Strasbourg Cathedral, the fourth-tallest church in the world. 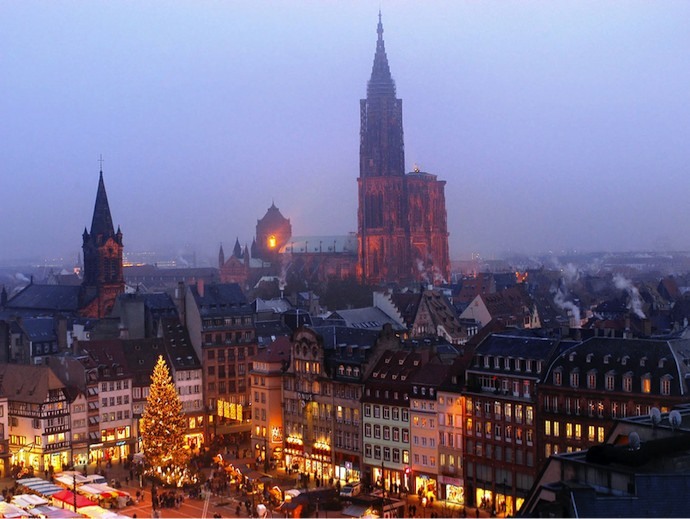 Fun fact: Perhaps the best time of year to visit Strasbourg is during the holiday season from the last week of November through Christmas Eve. Since 1570, the city has held its Christkindelsmärik around the Cathedral. The Christkindelsmärik is an expansive Christmas market and town celebration, observed with traditional singing and dancing and holiday foods. Some sources say that this is the site of the oldest Christmas market in Europe, which is why Strasbourg bills itself as “the Capital of Christmas”. France is an ancient country with an important role in civilization almost as old as humanity. There is so much to see and do here that it is small wonder why visitors come back again and again. As the most-visited country on Earth, it is very difficult to find any locale that has been almost completely ignored by tourists. 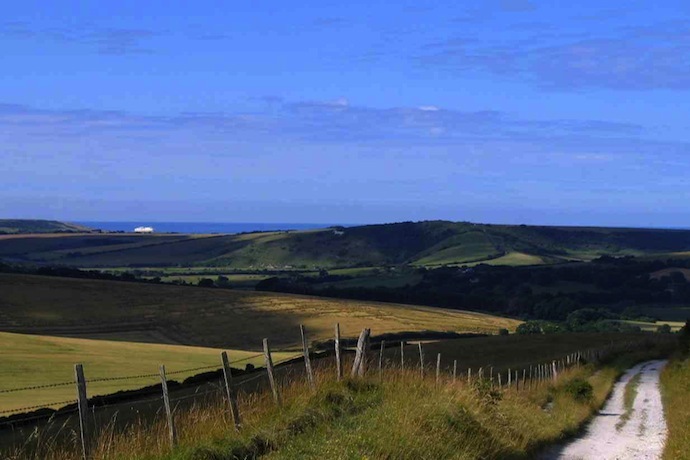 The places listed above should only be a starting point for intrepid trekkers who want to discover France on their own.